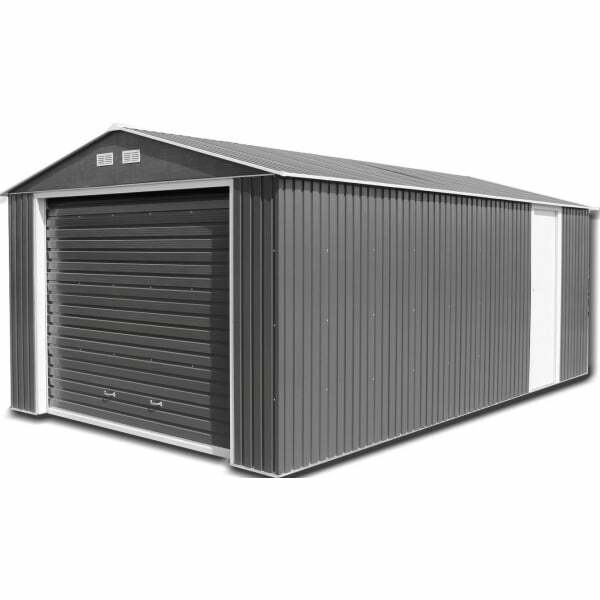 Storemore Sapphire Olympian Garage :: A no maintenance, good quality garage manufactured from high grade hot-dipped galvanised steel throughout. Available in 4 sizes to suit your requirements and garden size. Featuring the roller style garage doors for better security. An ideal storage space or to protect your car from the effects of the weather. Includes a 15 year manufacturers guarantee against rust perforation.